For skeptics of how the American government has conducted its so-called War on Drugs, don’t worry, it will soon be out of their hands. 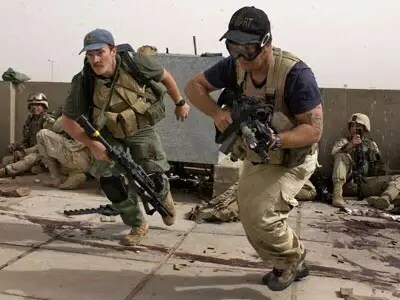 The US Department of Defense has transferred its armed efforts in Latin and Central America in the War on Drugs to Academi, the private military contractors formerly known as Blackwater, reports BBC Spanish. Before they altered their branding to be known as Xe, then most recently Academi, Blackwater underwent immense criticism for a series of scandals involving contract employees executing civilians throughout the Middle East. What’s more, it is reported, that those contracts were no-bid agreements authorized by the Pentagon. Under such deals, the DoD forks over federal funds to private companies without ever seeking better offers from competitors. As long ago as 2007, the Pentagon was considering billions of dollars worth of contracts to private contractor aid in the War on Drugs, but the BBC reports that the latest deal will actually aid in the “transfer” of control out of Washington and instead put the actions of enforcing drug production and trafficking in the hands of civilians, not servicemen bound by certain rules and regulations. Additionally, the transition will allow the government to usher billions into the War on Drugs, but to the public it will appear as if the effort is, on the periphery, nothing more than another DoD contract. Opposition has long existed to the lengthy War on Drugs, and by continuing the efforts in Central and South America without relying on further Pentagon expenditures, less money will appear to be focused on ongoing operations. Bruce Bagley, head of International Studies at the University of Miami, tells BBC that the move will appear to cut out “the high political cost” of continuing the War on Drugs directly out of the Pentagon, but could create a massive backlash of the citizens of the countries in question become aware that private mercenaries are being installed to conduct armed operations. The move is expected to send contractors into Mexico, Colombia and Caribbean and other locales to the south of the United States.